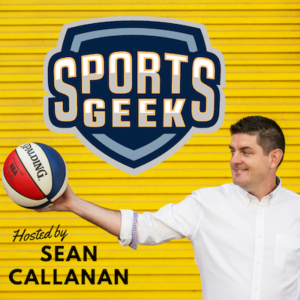 In episode 12 of the Sports Geek Podcast we chat with Tod Caflisch from Detroit Red Wings on how IT is playing a big role in sports performance analytics and stadium activation. We catch up with Trendsmap.com's John Barratt to understand how Trendsmap works and look behind the scenes of #ALvMU Sports Trendsmap built for the A-League All-Stars game against Manchester United. On Harf Time we discuss how Sydney Thunder used traditional and digital media to welcome Mr Cricket as a new Big Bash League signing. Not long now until SEAT Conference hope to see you in Kansas City.